The opioid crisis in the United States is a serious public health crisis with devastating consequences including increases in opioid misuse and related overdoses. However, there is an alternative. According to the Journal of Pain, acupuncture has been shown to have a relevant effect on chronic pain that persists over time that cannot be solely explained by placebo effects. And unlike opioids, which bind to the opioid receptors of the body, acupuncture is anything but addicting. According to the National Institute on Drug Abuse, "pharmaceutical companies in the 1990s reassured the medical community that patients would not become addicted to prescription opioid pain relievers, and healthcare providers began to prescribe them at greater rates. This subsequently led to widespread diversion and misuse of these medications before it became clear that these medications could indeed be highly addictive.3,4 Opioid overdose rates began to increase. 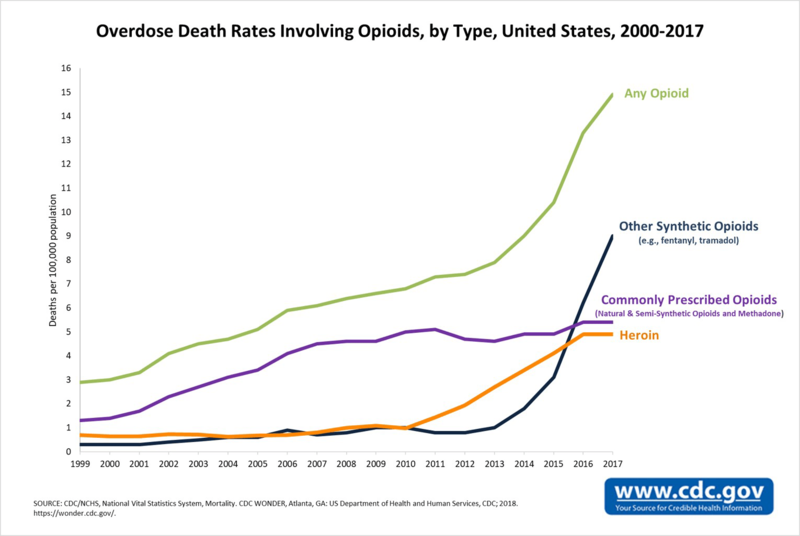 In 2017, more than 47,000 Americans died as a result of an opioid overdose, including prescription opioids, heroin, and illicitly manufactured fentanyl, a powerful synthetic opioid." Acupuncture has emerged as a powerful, evidence-based, safe, cost-effective, and available treatment modality suitable to meeting the opioid crisis need by helping patients with pain management who would have otherwise turned to addictive prescription pills. Besides the benefits to the patient, it makes sense from a healthcare administrative standpoint as well. Acupuncture's cost-effectiveness can dramatically decrease health care expenditures, both from the standpoint of treating acute pain and through avoiding addiction to opioids that requires costly care, destroys quality of life, and can lead to fatal overdose. Most major insurance companies cover all or some acupuncture procedures as a response to the opioid epidemic. You may be able to receive coverage when treatment is “medically necessary” and is prescribed by your doctor. If you have chronic pain (or nausea due to surgery) that has lasted at least 6 months, your doctor can usually prescribe acupuncture as treatment. Call your insurance to determine the extent to which acupuncture is covered (or click here to verify your insurance). Want to learn more about how acupuncture treatments at Meridians & Marathons can help you manage your pain without opioids? Book an appointment now to see Dr. Ziya!